We are pleased to announce that the Tri-borough Music Hub (TBMH) – a centralised Local Authority service which serves the London Boroughs of Hammersmith & Fulham, Kensington & Chelsea, and Westminster, and with whom our Outreach Project works very closely – has been named joint winner of the Music Education Council (MEC) ‘New Music’ Award in recognition of their Seven Seeds project and performance on 23rd June 2015. Find out more here. Seven Seeds has also been nominated for the 2016 Music Teacher Awards in the category of ‘Best Classical Music Education Initiative’. This category is sponsored by Classic FM and the winner of this award will be decided by public vote on classicfm.com. Find out more here. Winning the MEC award and being nominated for the Music Teacher Awards is a clear indicator of the growing strengths of the TBMH and reflects the hard word that is being delivered to help support music education in the three Boroughs. The Bach Choir Outreach Project is proud to be one of the Hub’s delivery partners. 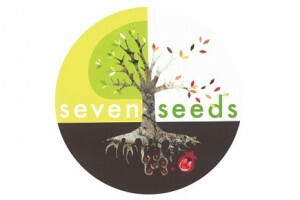 Seven Seeds was an exceptional music project accessible to all children and young people, irrespective of age, ability and cultural background. The major new work by composer John Barber and librettist Hazel Gould brought together an extraordinary group of musical partners, including The Bach Choir. The remainder of the 1200 performers consisted of young singers and instrumentalists performing alongside musicians from Aurora Orchestra, Southbank Sinfonia, Albert’s Band, students from the Royal College of Music and Royal Academy of Music, Chickenshed Theatre, professional soloist and conductor Nicholas Collon. Featured among the children performing were many current and previous participants in The Bach Choir Outreach Project, and members of The Young Singers, an ensemble supported by The Bach Choir. You can watch a documentary about the project here and the full performance here.